I read WATERSHIP DOWN around May or June, 2016, and enjoyed it. That, superficially, it is a book (a NOVEL) about rabbits belies its originality, its sombre atmosphere, and its mythology. I have yet to see the 1978 animated film, but I have no intention of seeing the new one. That's a very interesting discovery, and I'd like to read that book if I can find it. However, in the process of your comparisons you've made a couple factual errors concerning Watership Down. Most importantly, you have misidentified Hyzenthlay's species if you think she is a deer. She is a rabbit doe, not a deer doe. A better parallel is probably found in Kehaar, the seagull whom the rabbits in Watership Down befriend and get to scout for them. That's the interspecies cooperation you're looking for. So far as I am aware, Richard never read this book. He never once mentioned it, and there was no copy in his library. I don't suppose we shall ever know now for certain. Thank you, Juliet, I appreciate your helpful comments, from an authoritative source. 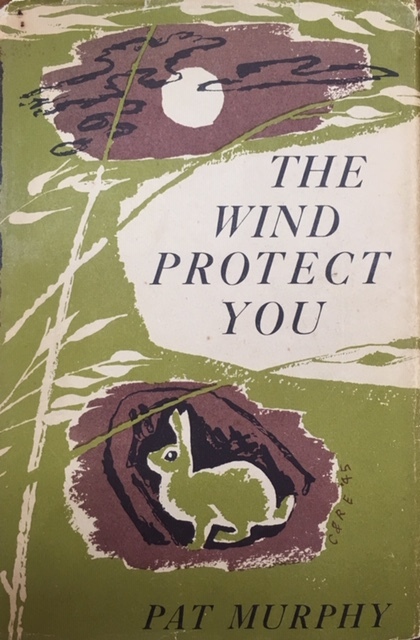 "The wind protect you" is wonderful title.